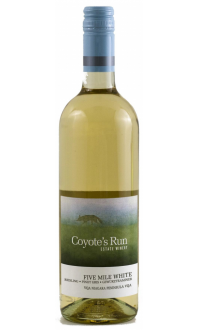 Tasting Notes: This wine features aromas of pineapple, pear and honey together with a spice note of nutmeg. The palate is medium bodied, with flavours of ripe fruit and spice with a rich mouth feel. Food Pairings: Pinot Gris with its lively roundness would pair well with pan seared scallops, semi firm cheeses or a spinach and feta frittata. For those cool fall evenings try a ginger and clove enhanced pumpkin or squash soup. Vinification: These Pinot Gris grapes were hand picked at optimal ripeness from the Red Paw vineyard and cool fermented in stainless steel tanks. The yeast we selected is used to promote a fleshy character in the wine while enhancing the fruit flavours.